I've taken a while to mention this because I wanted it to be closer to the publishing date, but I've since been informed that it can already be ordered. So here's my announcement of a book I'm really excited about. 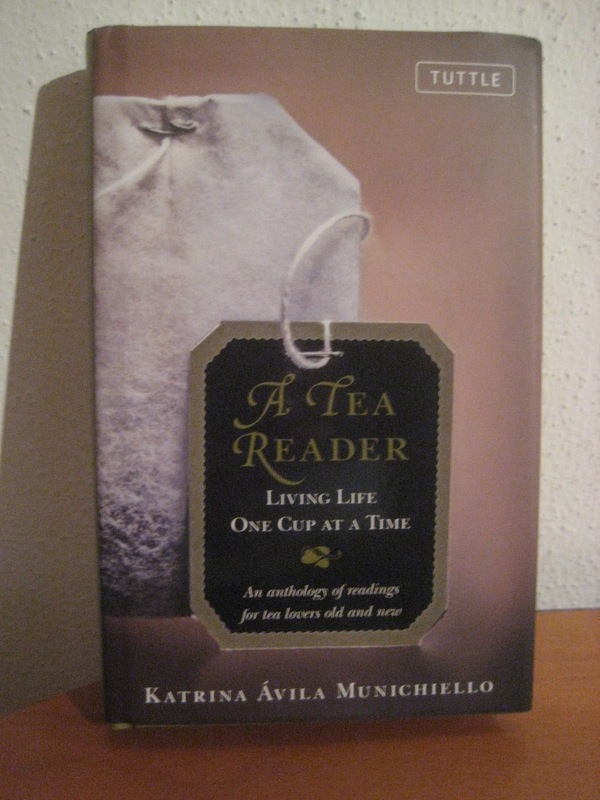 The Tea Reader is by a writer called Katrina Ávila Munichiello (She's also known as @TeaPages over on twitter) and she's really put together a gem of a book. It's not only essays and readings by a varied assortment of authors, but she's added her own introduction explaining how she got into tea, as well as an essay for each of the five sections of the book. The Sections are cleverly called steepings, and the first steeping is 'Tea Reveries'. If you've read this blog for even the shortest of time, you know I'm one drawn to anything with reverie in the title. So many of my blogposts began with me staring off into space and pondering what I'd write about. This is actually why I'm most thrilled about this book. I add material to this blog rather regularly, and sometimes I'm really at a loss for ideas. One of the reasons I'm not going to go into much more detail about this book now is that I'm sure I'll be coming back to it repeatedly. The entries are short, for the most part, and I can already see myself dipping into one of the many readings for not only enjoyment but inspiration, as well. 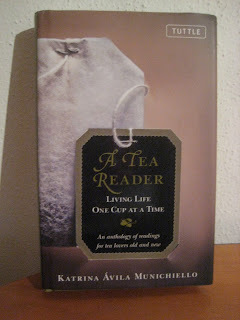 Am sure for those of you who like where my mind wanders, you'll appreciate where The Tea Reader is going to take me. I notice this book is not available for Kindle. Probably a strategic choice. I would hate to spill hot tea on my electronic device.